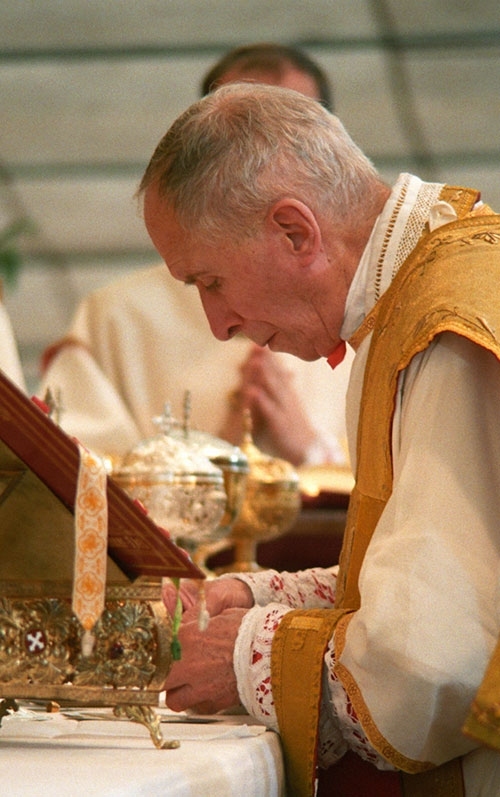 The Priestly Society of Saint Pius X is a society of Catholic priests, founded by His Excellency, Archbishop Marcel Lefebvre in 1970. Its main objective is the formation of holy priests using the methods that the Church always used: the Holy Sacrifice of the Mass, “The Mass of All Time”; the preaching of the Catholic Faith and Catholic morals; the endowment of grace by the administration of the sacraments of the Catholic Church; Catholic doctrine drawn from the best sources; community life in charity and prayer. The Society of St. Pius X was canonically erected in Fribourg (Switzerland) on November 1, 1970 by His Excellency, Bishop Francois Charriere. Today the Society is spread across more than 60 countries and has six international seminaries for the training of priests. Its members are engaged in a wide range of ministries: parish work through its priories across the world; primary and secondary schools; tertiary education facilities; spiritual retreat houses; chaplaincies to various congregations; missions and various charitable works. The Society’s refusal of the chaos in the liturgy and the introduction of new doctrines caused for it many misunderstandings. However, to the eyes of many, the Society is currently the most solid stronghold of resistance against what Pope Paul VI called “the auto demolition of the Church”. It is effectively assisted in this work by several like-minded religious communities, who work with the same zeal for the glory of God and the salvation of souls. The Priestly Society of St. Pius X is a living witness of the fertility of Catholic tradition. Throughout the world, it is continually building new churches, schools and seminaries. Its chapels are filled every Sunday with parishioners of all ages, including many teenagers and young families. Through the Society’s work many Christians have found again a fervent Catholic life and, at the same time, true peace and happiness. The Society adopts the motto which was the programme of its holy patron, Pope St. Pius X (1903–1914): “Omnia instaurare in Christo”—“to restore all things in Christ” (Eph. 1:10). All private and public life, individual as well as family life, economic and political life must be subject to the laws of Christ and invigorated by His grace. It is through this that the world will find peace and that souls will reach eternal beatitude. The Priestly Society of St. Pius X is active across six continents. It also includes a branch of religious brothers as well as oblate sisters who help the priests in various communities.